Get Your Passport for NYC Good Beer Month! The craft-brew fest firm Get Real Presents has teamed up with the New York State Brewers Association for a month-long world beer immersion program, if you will, with great local brewers like Empire, Shmaltz, and Sixpoint participating, too. Hungry? Our events calendar has loads of Edible events around the city, like this night of BBQ, Beer & Bluegrass at Fort Reno. Here’s what’s happening this week. At Pacific Standard, the 5-year-old craft beer and sports bar on the Boerum Hill side of lower Fourth Avenue, even drunken bets are on. Thanks to the official Wager Book, now in its third iteration, patrons in all states of soberness (or not) can record their bets for posterity. This is easy. Seriously easy. 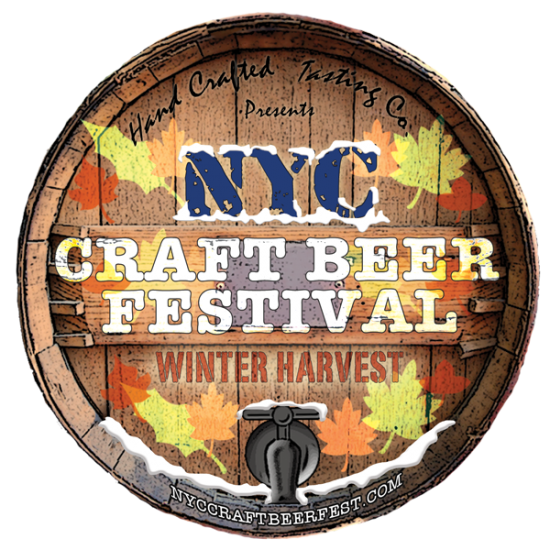 Tell us why you love craft beer in the comments section below and we’ll hook two lucky winners up with connoisseur tickets to the NYC Craft Beer Festival ­ Winter Harvest Edition on Saturday, December 1st. In our current issue Katie della Mora describes four worthy breweries within hopping distance of the city (even without a car!). Read the story for more on where and how to taste these winning brews. We’re just back from a trip to Spuyten Duyvil Grocery–the Williamsburg beer store in the mini-mall on Bedford Avenue at North Sixth Street–and stumbled across this beauty of a brew from Evil Twin Brewers in Denmark. We’re just sad we didn’t stumble in time for it be part of our annual Alcohol Issue, which just hit the streets. Keep a copy in your suitcase, and wherever life takes you, it will point you to superlative suds. On August 27th, professional city tour guide Matt Levy hosts one of his regular bike jaunts through Bushwick, East Williamsburg and Williamsburg. It’s a four-hour tour of a few of the remaining German brewery buildings left from the dozens that once dotted the area. One man brews for two boroughs. Ben Granger is growing a crucial beer ingredient in his Brooklyn back yard.